Did you know that Davy Crockett fought in a famous battle at the Alamo? From behind the walls of the fort, Americans fought for independence. Thousands of people still visit the Alamo to honor those brave men who died there. What happened at that battle? 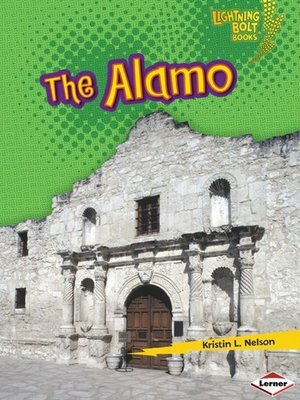 And why do people still say, "Remember the Alamo?" Read this book to find out! Learn about many remarkable sites in the Famous Places series—part of the Lightning Bolt Books™ collection. With high-energy designs, exciting photos, and fun text, Lightning Bolt Books™ bring nonfiction topics to life! Kristin L. Nelson loves writing books for children. She has written several titles on animals, famous places, and other topics of interest to young readers.